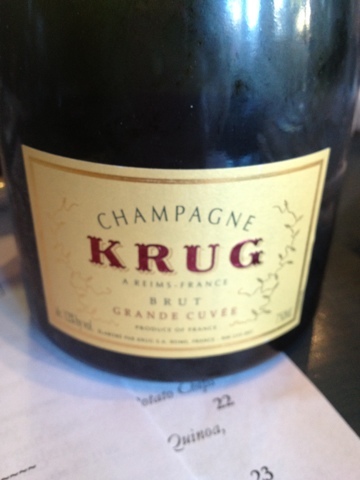 Everyday should be Champagne Day, but we did not pick an every day Champagne. We decided to pair with oysters, so where better than Sea Salt in Berkeley? They have delicious, fresh, $1 oysters on their Happy Hour menu weekdays from 3-6 (and Mondays 3 - closing). The chef's commitment to sustainable sea food adds to the pleasant satisfaction of the tasty fresh oysters ---and there are yummy selections on both the menus as well. Cheers to champagne every day!